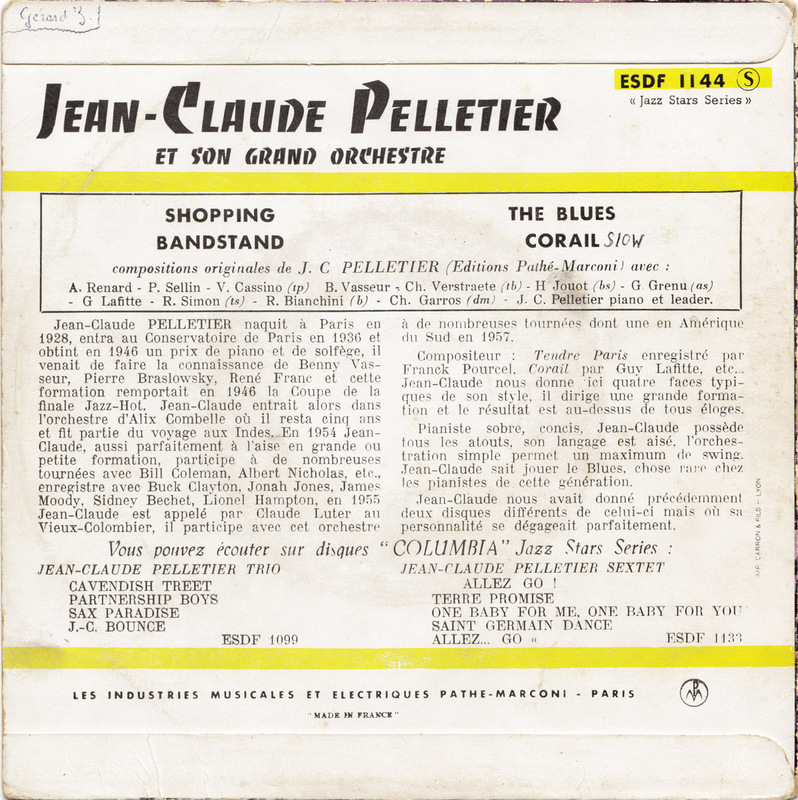 This is the other EP by Jean-Claude Pelletier that I have in my collection. My French is rather limited so this is what I could grasp from the liner notes on the back of the sleeve. 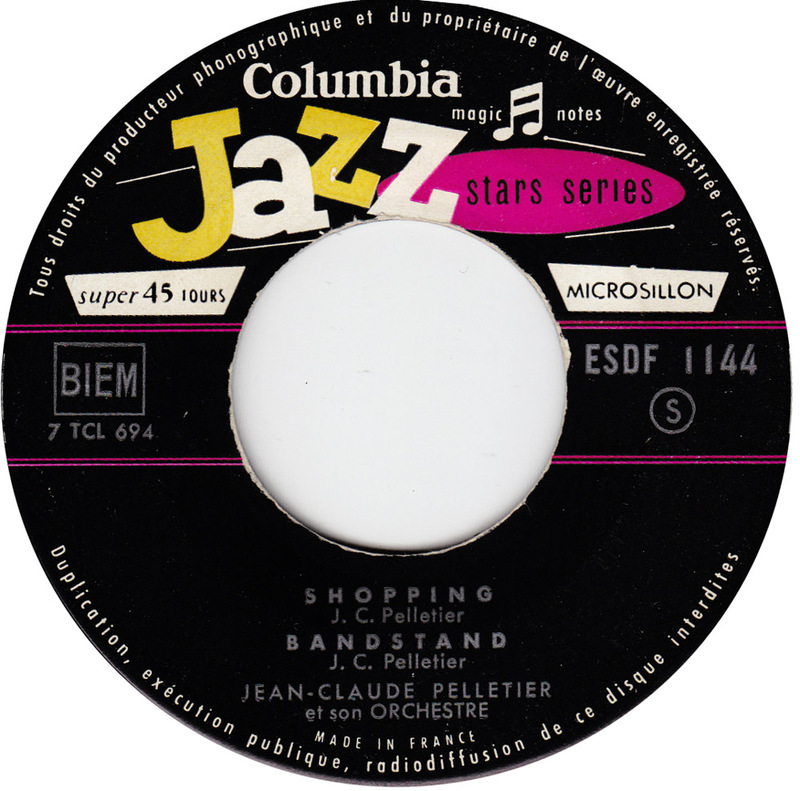 It´s probably all wrong, so please correct me: Jean-ClaudePelletier was born in Paris in 1928, started to go to conservatory in 1936 and won a first prize for his piano playing and graduated in 1946, met Benny Vasseur, Pierre Braslowsky, René Franc and their group ended up in the finals of the Hot-Jazz contest in 1946. 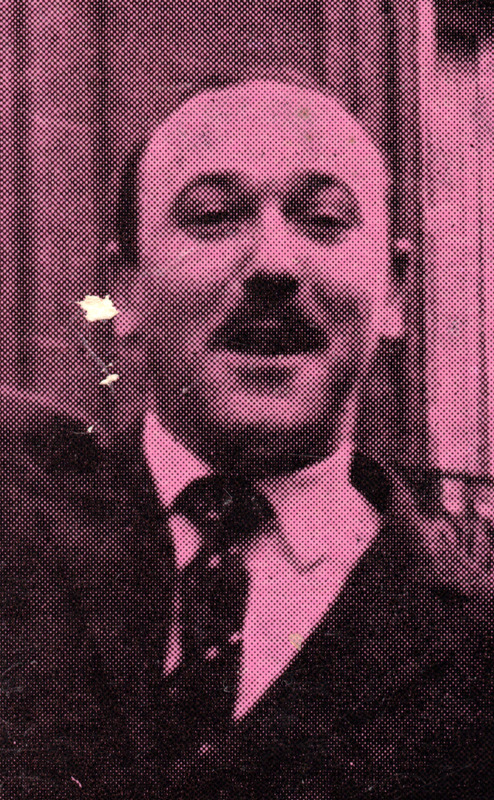 Jean-Claude then joined the orchestra of Alix Combello and stayed with them for five years. In 1954 he started to play in smaller groups together with Bill Coleman, Albert Nicholas, Buck Clayton, Jonah Jones James Moody, Sidney Bechet and Lionel Hampton. In 1955 he performed together with Claude Luter at the Vieux Comombier, the famous Paris jazz club in the basement of the Vieux Colombier Theatre. 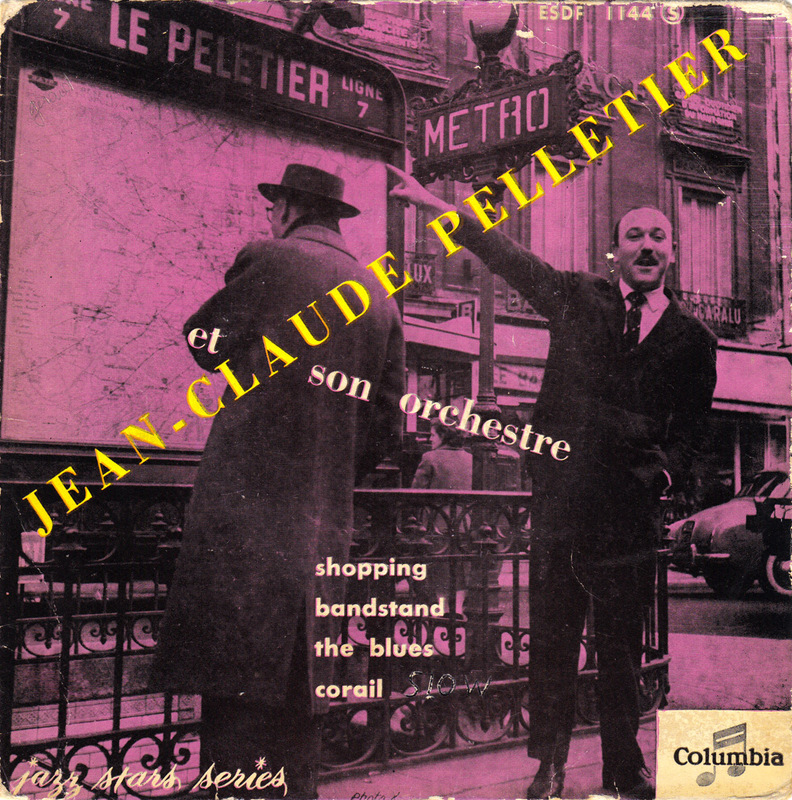 Jean-Claude Pelletier is seen pointing to a sign of the Paris metro station Peletier (pronounced just the same but spelled differently) on the front cover of the record. On the back of the sleeve two more EPs are listed in the Columbia Jazz Stars series by the Pelletier Trio and the Pelletier Sextett. I would sure be interested to hear them, but, just like this EP, they have never been reissued. 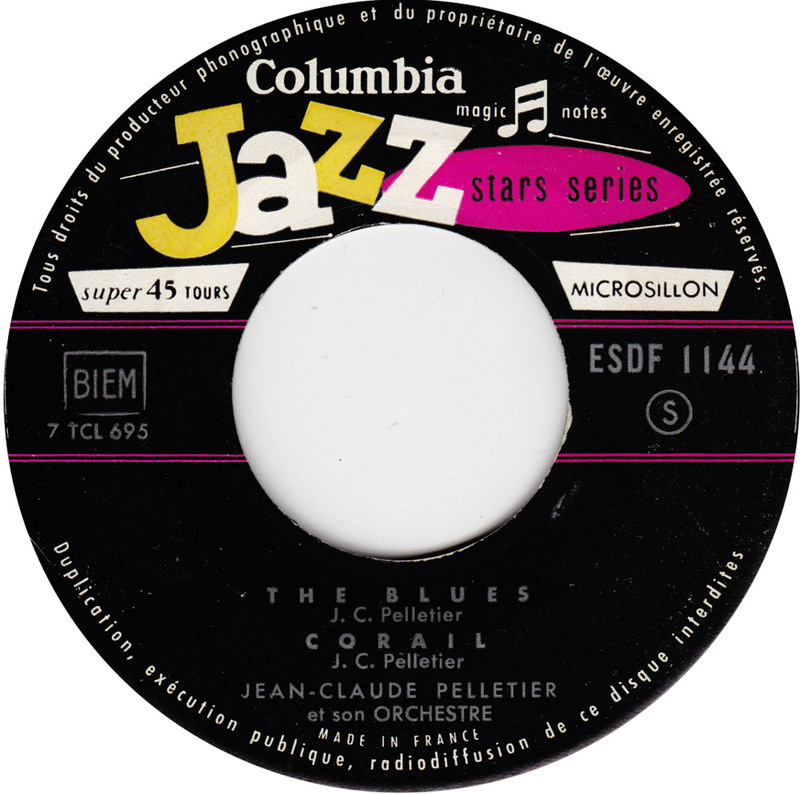 All of the songs were written by Jean-Claude Pelletier.